Nearly every day, the Memphis nursing home neglect attorneys at Nursing Home Law Center LLC speak to family members whose loved one has been abused, neglected or exploited at the hands of nursing healthcare professionals in charge of providing them care. Cases involving elder abuse involve some of the most heinous acts where caregivers cause serious harm to the most vulnerable members of society. Without proper oversight and advocacy, any resident can fall victim to mistreatment even while living in the highest rated nursing facilities in the community. Medicare releases publicly available information every month on all nursing homes in Memphis, Tennessee based on the data gathered through inspections, investigations and surveys. Currently, the national database shows that inspectors identified serious violations and deficiencies at eighteen (58%) of the thirty-one Memphis nursing facilities that led to resident injuries. Was your loved one was harmed, mistreated, abused, or died unexpectedly from neglect while living in a nursing home in Tennessee? If so, we invite you to contact the Memphis nursing home abuse lawyers at Nursing Home Law Center (800-926-7565) today to schedule a free case review to discuss a financial compensation claim to recover your damages. More than 650,000 individuals live within the city limits of Memphis Tennessee, of which approximately 75,000 are 65 years and older. This number more than doubles when counting the seniors living all throughout Shelby County. The total number of elders has risen substantially over the last few decades because many members of the baby boomer generation have chosen to remain in Tennessee to live out their retirement years. As the oldest generation continues to age, more individuals are relocating to nursing homes, assisted living centers and rehabilitation facilities throughout the Memphis community. Like all humans, these elders deserve to be treated with dignity and respect of their individuality. Unfortunately, statistics reveal that one out of every ten nursing home residents will be victimized at some point during their stay by caregivers, other residents, family members, friends and visitors. 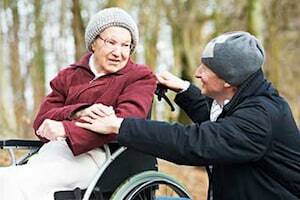 Our Tennessee elder abuse law firm has long served as an advocate for every nursing home resident in the state. In an effort to provide a public service, we continuously assess, review and evaluate opened investigations, filed complaints, safety concerns and health violations handled by federal and state regulators, surveyor’s and inspectors. We publish this information to assist family members in need of placing a loved one in the hands of professional caregivers who require the utmost quality care. This publicly available information gathered from national databases including Medicare.gov gives families insight to the activities, problems, concerns and issues many nursing home residents face in the Memphis area. The detailed information below lists every Memphis area nursing facility currently maintaining below average ratings compared to other homes nationwide. In addition, our attorneys have posted their primary concerns and highlighted specific cases where residents have been seriously injured or harmed due to the action or inaction of a medical doctor, nursing staff or employees. In a summary statement of deficiencies dated 08/28/2015, a complaint investigation was opened against the facility for its failure to “identify, assess and provide preventative measures to prevent the development of avoidable pressure ulcers.” The deficient practice affected five residents. This resident’s 07/01/2015 Interim Care Plan notes Alteration in skin integrity. Will not develop skin breakdown. Skin assessment weekly. Incontinence care is needed. Turn and position or reposition every two hours. Treatment as ordered. The following month on 08/10/2015, the resident’s Pressure Ulcer Record documents: Unstageable. Measuring 2.5 centimeters by 2.0 centimeters and no depth documented. The investigator noted that the weekly Wound Progress Notes and weekly one assessment notes performed every week from October 2014 through February 2015 “did not always include the stage” of the resident’s bedsore. Our Memphis nursing home neglect lawyers recognize a failing to follow protocols and provide all necessary treatment to allow an existing bedsore to heal could place the health and well-being of the resident in immediate jeopardy. The deficient practice by the nursing staff at Quality Care Center of Memphis might be considered negligence or mistreatment because their actions failed to follow state and federal nursing home protocols.